This entry was posted on January 28, 2015 by Goplasticpallets. Over the past decade there has been a steep decline in air cargo volume worldwide, largely due to the rapid rise in fuel, which has adversely affected air cargo carriers much more dramatically than other more fuel efficient modes of transport. Containerised air cargo declined from 3.1 per cent in 2000 to 1.7 per cent in 2013 according to research by The International Air Transport Association (IATA). 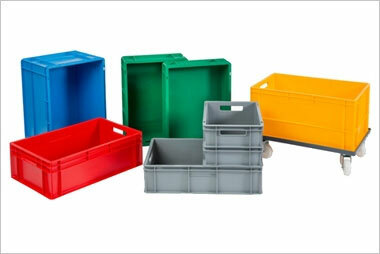 Jim Hardisty, Managing Director of Goplasticpallets.com, says: “Exporters transporting large volumes of goods by air need to look for new ways to take costs out of the supply chain. Pallets are indispensable for shipping goods by road, sea and air yet few export companies are aware of the sheer variety of pallets suitable for export on the market and how using certain types and models can achieve considerable cost efficiencies. 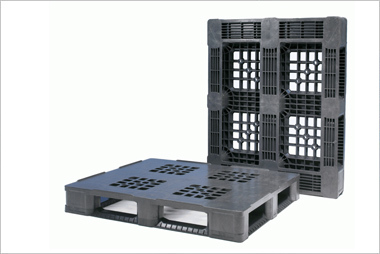 “Our ultra-low weight, high performance EXA 1210 export pallet, is a prime example. 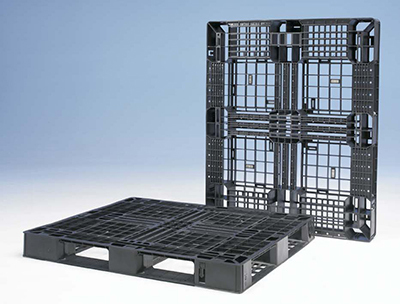 It offers the strength of a full perimeter pallet but weighs just 7.3kg, helping keep airfreight costs to a minimum. 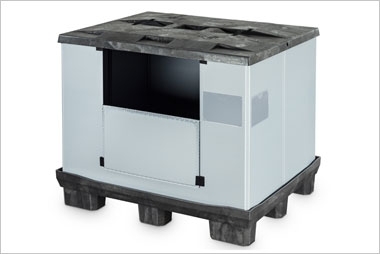 Manufactured in Belgium from recycled polypropylene, the open deck EXA 1210 export pallet has a very wide full perimeter base designed for evenly spread loads, making it safe for storing and transporting high value goods, like boxes of wines and spirits. 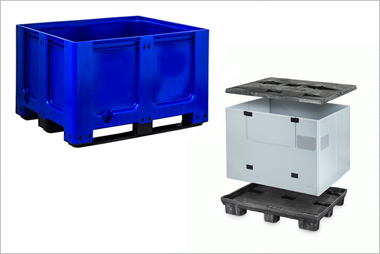 Measuring 1200mm (L) x 1000mm (W) x 120mm (H), the pallets can be double stacked easily in storage as the wide base spreads the weight down to the lower pallet, without damaging the top layer. A wooden pallet with narrow runners risks placing too much pressure on the outer edge boxes making them more susceptible to damage. Like all plastic export pallets, the EXA 1210 is exempt from ISPM15 regulations which restricts the movement of wood pallets imported into the EU from third countries or exported from Portugal, unless they are heat treated and authentically stamped. The European Commission is currently working on an impact assessment of ISPM 15 implementation, which may result in restrictions applying to all intra-European movement of wood pallet and packaging. 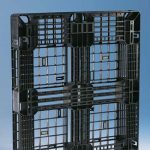 As well as being ideal for export or any one-way trip, the EXA 1210 pallet offers the full range of benefits provided by all plastic pallets. 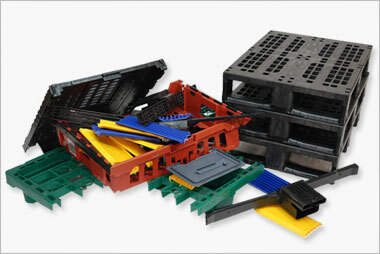 They do not harbour mould, dust or other contaminants, making them more hygienic than wood and other alternatives; they don’t splinter or break easily, making them far safer to handle; and as they are moulded using a high-tech manufacturing process, each plastic pallet is produced consistently and accurately and carries a stated loading capacity. To order a sample or arrange a product demonstration complete our enquiry form or call us on 01323 744057.